Wikipedia administrators were this week forced to lock the Zambian page after cheeky Kenyans made funny edits on it in escalation of the Nairobi fight night. 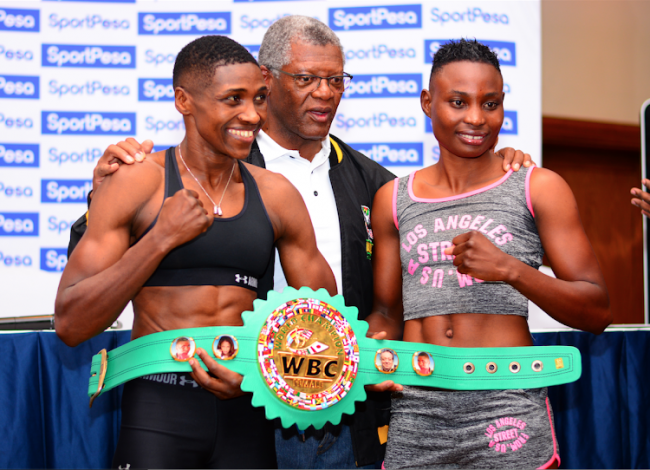 It all started with the World Boxing Council (WBC) Super Bantamweight weight title bout between Kenya’s Fatuma Zarika and Catherine Phiri of Zambia that went down last Saturday. In the match build up, Kenyans and Zambians trolled each other on social media. Zarika won the fight with some Kenyans and Zambians suggesting that the match was rigged in her favour. The fight, however, escalated with Kenyans editing Zambia’s Wikipedia page to mislead readers. One of the edits claimed that Zambian people are called “zombies” and that the country is a “quarantined” village in South Africa, which was “established and marked for medical science purposes in 1429”. 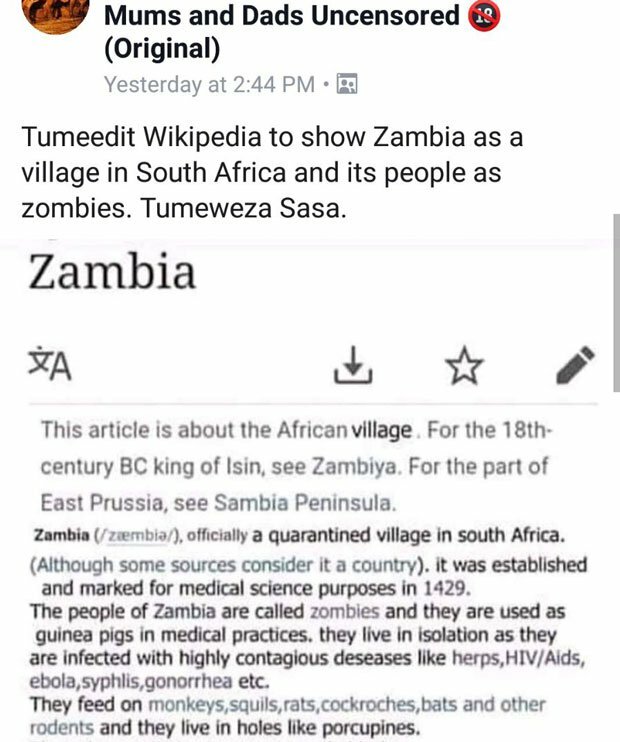 “Tumeedit Wikipedia to show Zambia as a villa in South Africa and its people as zombies. Tumeweza sasa,” bragged one Kenyan on Kilimani Mums Facebook group. 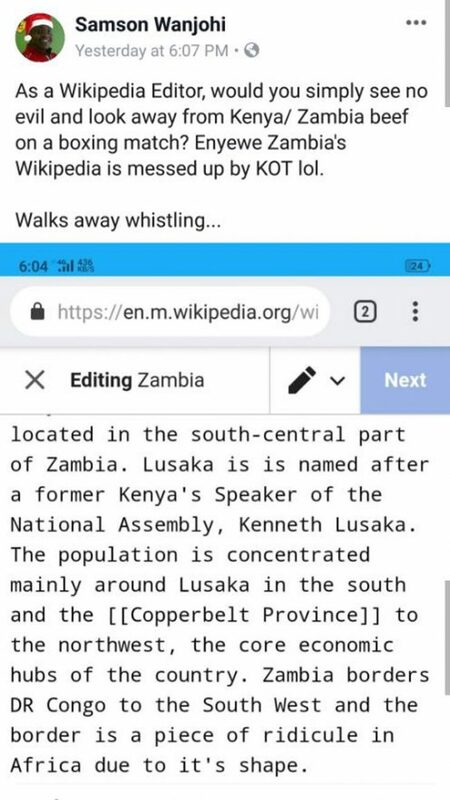 Kenyans also edited the page to claim that Zambia’s capital city Lusaka is named after “a former Kenya’s Speaker for the National Assembly Kenneth Lusaka”. Kenneth Lusaka is the incumbent Speaker for the Kenya’s Senate and has never served as Speaker of the lower chamber. Kenneth Marende is the former Speaker of the National Assembly. The edits also claimed that Zambia’s border with DR Congo is a “piece of ridicule in Africa due to its shape”. Wikipedia editors have since corrected the misleading information and locked the page against editing.